Art is a subjective thing. There is no right or wrong way to view or interpret each piece; whatever feeling or emotion a painting or drawing or sculpture brings out will be different for every viewer. For Sophie Keene, a portrait of a young woman on a cliff makes her feel guilt and grief, longing and hope. Like so many of the world’s great masterworks, this particular painting evokes these same or similar emotions in just about every person who sees it. And, like the great masters of art, author Molly Greene is creating an impressive portfolio of special canvases of her own: her Genevieve Delacourt mystery series. 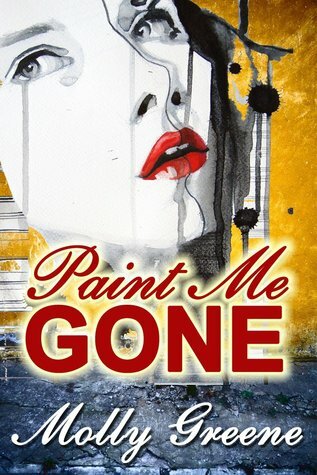 In Paint Me Gone, Sophie hires Gen (a Private Investigator) to help track down the artist of a painting found at a local San Francisco thrift shop. The woman in the painting bears a striking resemblance to Sophie’s sister, Shannon, who disappeared years earlier. The police think Shannon was involved in a murder and subsequently killed herself, but Sophie has never truly believed that to be true. Gen doesn’t have much to go on; only an unsigned canvas donated anonymously to a thrift store, and the strong hunch of a sister. But, in true Gen Delacourt style, she’s up for the challenge. With a little help from her friends, of course! I think Paint Me Gone is my favorite of the series so far, and I’m eager for more. Especially for more Mack! This review intrigued me about the book, for sure. Great job!